Designing tattoo dreams for over 36 years. Tattooing Fargo-Moorhead for three decades. Experience brings forth talent and that makes all the difference! Golden Needle Tattoo Studio was established in 1983 by Anita Burbeck. The studio is now owned and operated solely by Joe Garza. We provide our clients with a highly reputable, licensed and inspected studio. Our team is always available to design the dream tattoo just for you! All of our artists are equally talented and have been hand-picked to be the VERY BEST! Each artist specializes in their own particular styles and specialties. We are a dedicated to helping our clients find their match within our team of passionate artists. Please fill out the following form to secure your guest spot at Golden Needle Tattoo Studio. For additional information contact Joe at 218.236.8560. Thank you. We are a cutting edge studio that uses only the latest technology available in the industry! 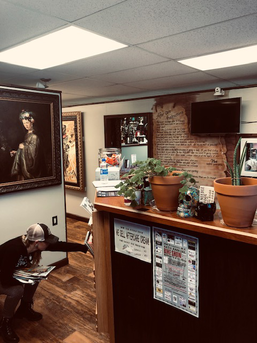 Our studio provides you humble, educated, creative, and professional artists that will provide not only their time but have the patience to provide a custom tattoo of your dreams! The tattoo ink pigments used by us are formulated from the latest technology. The colors have been scientifically created for optimal skin absorption and the brightness is made to last! The inks come from a pharmaceutical plant, using all the sterilization precautions and techniques. This makes for a much faster and easier healing process for our clients! Our artists offer extended consultations and custom design work for each client. 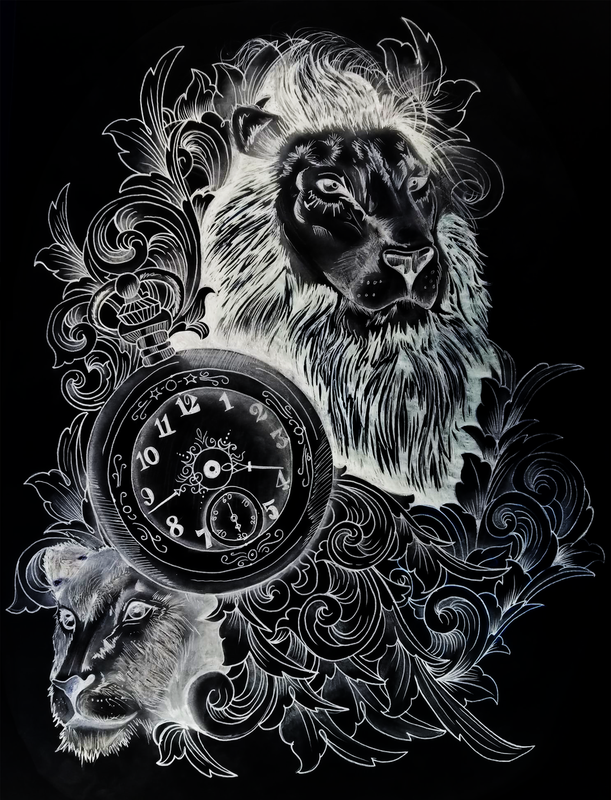 Golden Needle Tattoo Studio is highly respected for their talents in spectacular cover-ups, exact and detailed portraits, memorials, and out-of-the-box custom designs. We enjoy the challenge of creating the tattoos that every other studio says is impossible! We can make your tattoo dreams a reality! We desire that our clients love their tattoos for the rest of their lives! We encourage and welcome client and artist collaboration! We are ready and excited to design a one-of-a-kind tattoo just for YOU!!! 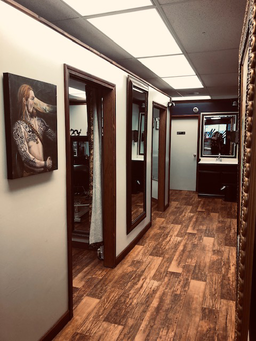 With over three decades of experience tattooing in the Fargo-Moorhead area, Golden Needle Tattoo Studio has provided countless clients with stunning designs and exceptional service all within a comfortable, caring and professional environment. We look forward to adding you to our extensive list of happy customers. Complete and total execution of my tattoo idea. Incredible fine line detail and beautiful color balance. So much artistic talent here. The best in at least a three state area. Professional, clean, and awesome work in a chill environment. Best Tattoo Studio with the most amazing artists in the ENTIRE FARGO MOORHEAD COMMUNITY!!!! They will not disappoint!!! Their artists are so highly skilled and they provide top notch customer service! Very welcoming, staff was great! and my tattoo turned out fantastic!! very happy with my experience and will definitely be going back! Copyright 2018-2019 Golden Needle Tattoo Studio. All Rights Reserved. Website by Dorsey Design Services. Simply fill out this quick email form with questions about your new tattoo and we will respond shortly. Thank you! We are excited to start your dream tattoo!